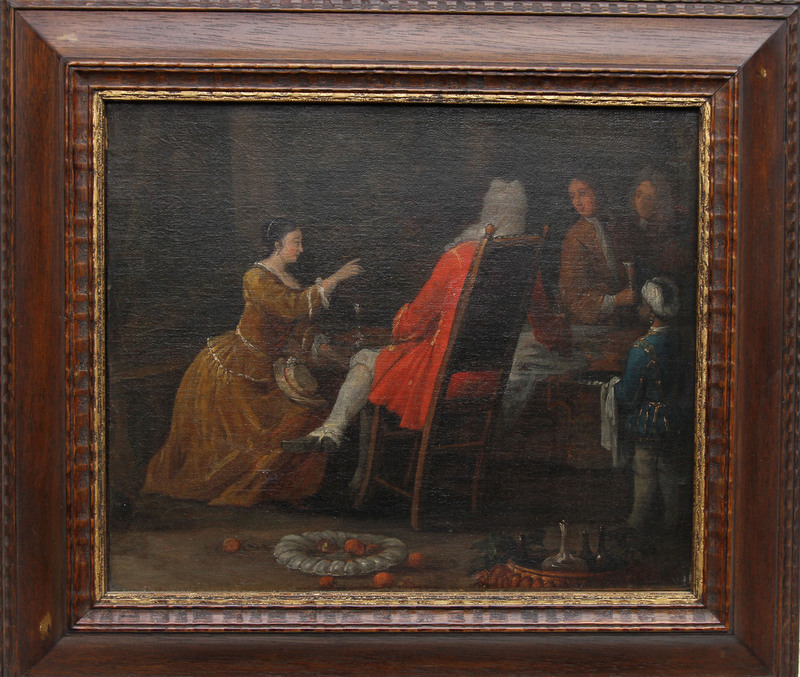 An original British Old Master oil on canvas which is attributed to circle of William Hogarth and was painted circa 1760. This fine oil painting is in good clean condition and depicts a black serving boy in blue attire, serving. There are scattered oranges and wine jugs to choose from. A fine socially historically important record of child labour and racial inequalities and a great painting with the contrasting gold red and blue moving right to left across the canvas. A fine Old Master painting. Gallery frame, 17 inches by 14 inches. William Hogarth FRSA (1697-1764) was an English painter, printmaker, pictorial satirist, social critic, and editorial cartoonist. His work ranged from realistic portraiture to comic strip-like series of pictures called "modern moral subjects". Perhaps the best known of these being his moral series A Harlot's Progress, A Rake's Progress and Marriage A-la-Mode. Knowledge of his work is so pervasive that satirical political illustrations in this style are often referred to as "Hogarthian". 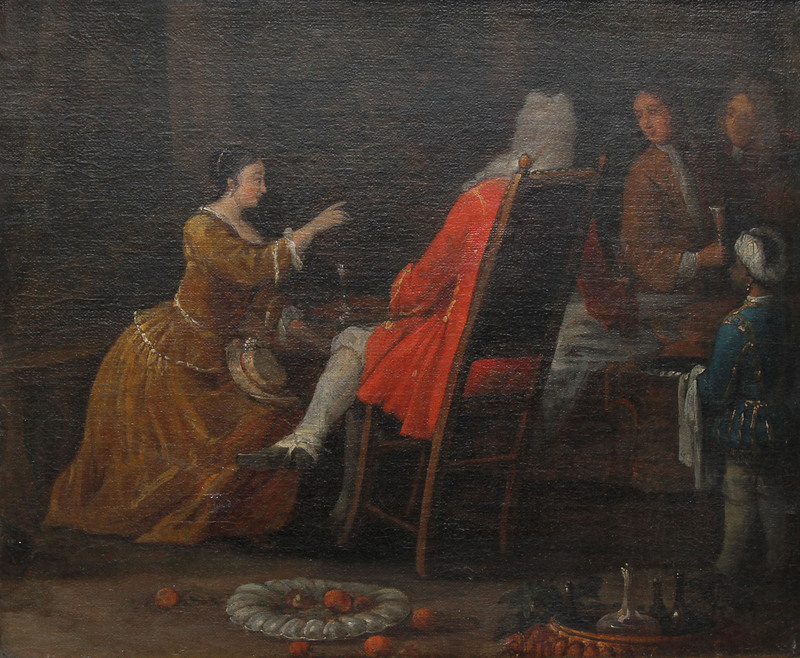 Hogarth was born in London to a lower middle-class family. In his youth he took up an apprenticeship where he specialised in engraving. His father underwent periods of mixed fortune, and was at one time imprisoned in lieu of outstanding debts; an event that is thought to have informed Hogarth's paintings and prints with a hard edge. Influenced by French and Italian painting and engraving, Hogarth's works are mostly satirical caricatures, sometimes bawdily sexual, mostly of the first rank of realistic portraiture. They became widely popular and mass-produced via prints in his lifetime, and he was by far the most significant English artist of his generation.